Credit: Frances Spiegel 2014, Copyright image, all rights reserved.I always feel excited when I see a really tall crane on a London building site. I'm really quite envious of the operator who sits high above the capital enjoying the wonderful views as part of his job. If you and I want to see these amazing panoramas we have to visit one of London's many viewing galleries such as the Monument to the Great Fire of London; the London Eye; the top of the O2 building; the Golden Gallery at St Paul's Cathedral; the viewing platform at Westminster Cathedral and the ArcelorMittal Orbit Tower in Queen Elizabeth Olympic Park. Then, for the ultimate views of the capital there's the Shard, an almost self-contained city with cafes and restaurants, hotel, offices, residential apartments and shops. The Monument, built by Sir Christopher Wren, still breaks records as the tallest isolated stone column in the world. 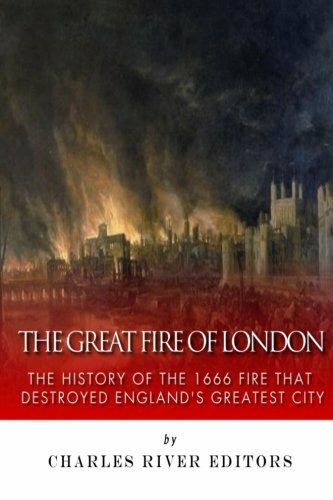 Completed in 1677, it was certainly the highest building in London at 202 feet high (61 metres). It is positioned exactly 202 feet from the place in Pudding Lane where the Great Fire of London started in the bakery of Thomas Farynor. When you climb the 311 spiral steps to the observation platform it may seem like you're on top of the world, but looking around you'll see so many other much taller structures. Nevertheless, the views across the city are still unique and exciting. The Monument is not accessible to disabled visitors. Credit: Frances Spiegel, Copyright image, all rights reservedAcross the water from the Monument there's the London Eye. At 135m, The London Eye was the world’s largest ferris wheel when erected in 1999. Designed by architects Marks Barfield, the Eye opened in 2000 for the Millennium celebrations. Credit: Frances Spiegel, 2012, Copyright image, all rights reserved.Located on the South Bank of the River Thames, the wheel is 135 metres (450 ft) in diameter. It takes 30 minutes to make one revolution. The London Eye has 32 capsules rotating high above London giving superb views both up and down the River Thames. Looking out across London and the Home Counties you can see for about 25 miles on a clear day. The London Eye is fully accessible to disabled visitors. If you're feeling really adventurous you can take a walk across the roof of the 02 Arena. Up at the 02 quite a challenge as you don climbing suite, boots and harness. You'll be safely clipped to the walkway and a climbing guide leads the group. This is where you'll get the best views of some of London's most historic places including Greenwich, the Queen Elizabeth Olympic Park and Canary Wharf. This attraction, known as 'Up at The O2' takes about ninety minutes. The 02 is accessible for most disabled guests. Call 020 8463 2680 or email their box office to make arrangements. As a general rule you can do the climb if you can walk unaided. Up at the 02 also run accessible climbs for wheelchair users. Designed by Sir Christopher Wren and built in the shape of a cross, the Cathedral has one of the world's largest domes. It weighs about 65,000 tons and is 111.3 metres high! The inside of the dome, originally painted by James Thornhill, is absolutely beautiful, but it's the outside we're interested in. Credit: Frances Spiegel, Copyright image, all rights reserved.The Golden Gallery runs round the outside of the dome. At 280 feet high, (85.4 metres) and with 528 steps, it's hard on the legs, but it's well worth the effort. There are fabulous views of the River Thames, Tate Modern, one of London's best-loved art galleries, as well as Shakespeare's Globe Theatre. The Golden Gallery is not wheelchair accessible. One alternative is to visit the Cathedral's Oculus: An Eye into St Paul’s (located in the crypt) which has a virtual access ‘fly-through’ film of the dome. Credit: Frances Spiegel, 2014, Copyright image, all rights reserved.Designed by Sir Anish Kapoor and Cecil Balmond the ArcelorMittal Orbit Tower is located in the Queen Elizabeth Olympic Park. It is one of the legacies of the 2012 Olympics. The viewing platform of Britain's tallest sculpture is 80 metres high, and although this is low in comparison to buildings like The Shard, it still gives you some of the most interesting views of the capital. The view stretches for around twenty miles and you can see some of the iconic buildings that make up London's skyline: The Shard, The Gherkin, Big Ben, Canary Wharf and The O2 Arena, to name just a few! The ArcelorMittal Orbit Tower is completely wheelchair accessible, with raised ramps on the external platforms to ensure excellent views for all visitors. Credit: Frances Spiegel, Copyright image, all rights reserved.This is the ultimate view of the capital, and probably the most expensive. On a clear day it's worth every penny. Interactive touch screens, Tell:Scopes, explain the views and tell the history of those views. You can see for about 40 miles across London and the Home Counties. This view of local rail lines close to the tower looks a bit like a model village. The View from the Shard is a more detailed review. The View from the Shard is fully wheelchair accessible and the Tell-Scopes can be adjusted to give disabled visitors the best possible experience. Credit: Frances Spiegel, 2009, Copyright image, all rights reserved. Credit: Frances Spiegel, 2014, Copyright image, all rights reserved. 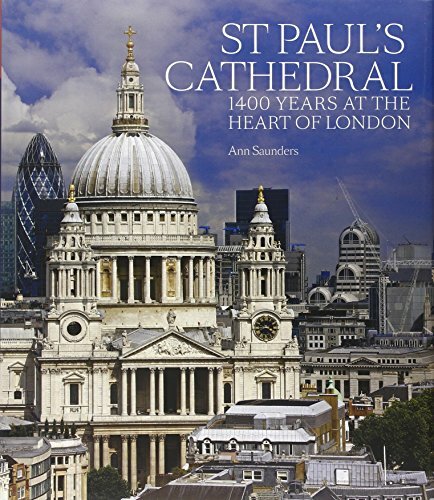 The history of St. Paul's Cathedral - a beautiful book. London is in my "bucket" list, and it's been there as soon as I learned about the London eye. Sure, it's one of the best ways to see London from bird's eye view. Lovely pictures! Pinning! WinterWolf - thanks for reading - hope you make to London soon. Great article. For those who don't like climbing buildings and would prefer to spend time outdoors, I recommend going to Hampstead Heath/Parliament Hill, walking to the top, and getting a spectacular outdoor view of the city. eegan41 - thanks so much for your kind comments. You refer to Hampstead Heath/Parliament Hill. I know the spot well and as you say - the view is amazing and definitely to be recommended.